Villa Taranto. The largest Italian botanical garden, created by Nail Mc Eacham in 1930. The style is mainly English, although there are references that are typical of Italian statues, fountains, pools, terraces, waterfalls and all that contributes to a sense of magic to this spectacle of nature. Eucalyptus trees, azaleas, rhododendrons, magnolias, maples, camellias, dahlias, tulips, lotus flowers, heather, dwarf stars, hydrangeas, numerous tropical plants and rare species inhabit these spaces. 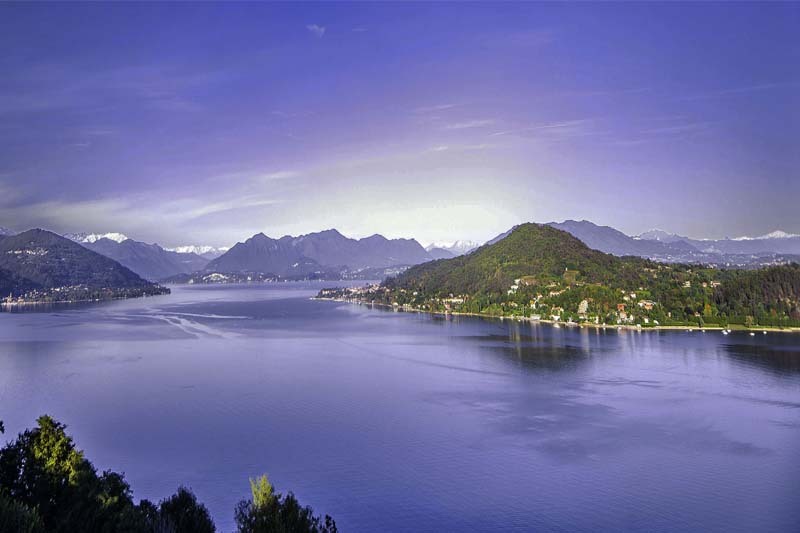 Lake Maggiore at the same time is the boundary line between two regions, Piedmont and Lombardy as well as two countries, Switzerland and Italy. It is the longest Italian lake and the second largest lake in Italy. Thanks to its mild climate and its rich property of art and nature, it is a tourist worldwide appealing destination. The climate is mild in both summer and winter, producing Mediterranean vegetation, with many gardens growing rare and exotic plants. 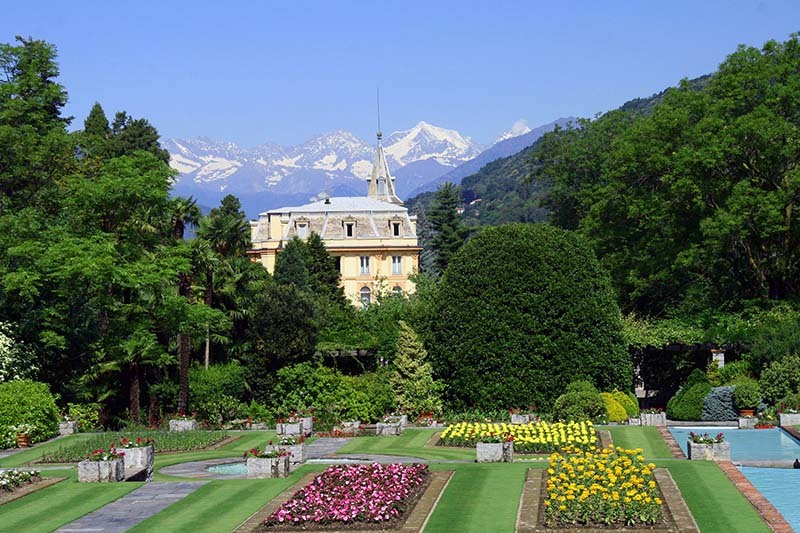 Well-known gardens ,very interesting in terms of botanical interest are those of the Borromeo and Brissago islands, that of the Villa Taranto in Verbania, and the Alpinia botanical garden above Stresa. The Sanctuary of Santa Caterina del Sasso stands on a peak over the Lake, the Lago Maggiore and represents one of the most fascinating sites of the lombard shore of the lake. According to legend, the sanctuary was built in the twelfth century by a wealthy merchant survived to a shipwreck. 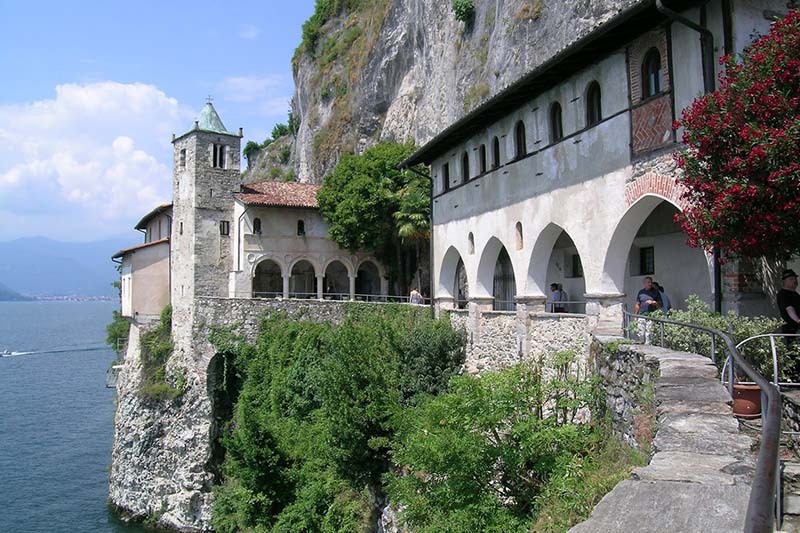 The Hermitage of Santa Caterina is a secular destination of pilgrimages and it houses cycles of fourteenth century frescoes of particular interest. The monastery includes a main church and two convents, perched on a rocky cliff. You can take an elevator to the site, or trek down a long staircase. For the full experience, take a boat across the lake. 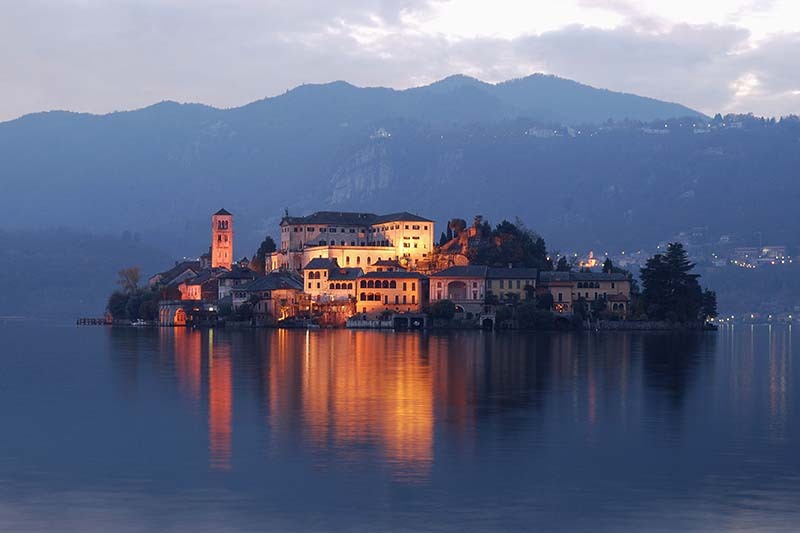 Lake d’Orta is a small lake, surrounded by gentle hills and luxuriant greenery. Thanks of the quiet beauty of the landscape this small very chic lake is loved by tourists for its fascinating history and its artistic treasures as Sacro Monte or Isola di San Giulio. Ancient villages follow one another , loved by tourists for their picturesque simplicity. Wonderful in spring and summer, the lake is amazing in autumn for the wonderful colors of the trees and in winter when the landscape is shaded by winter fogs. 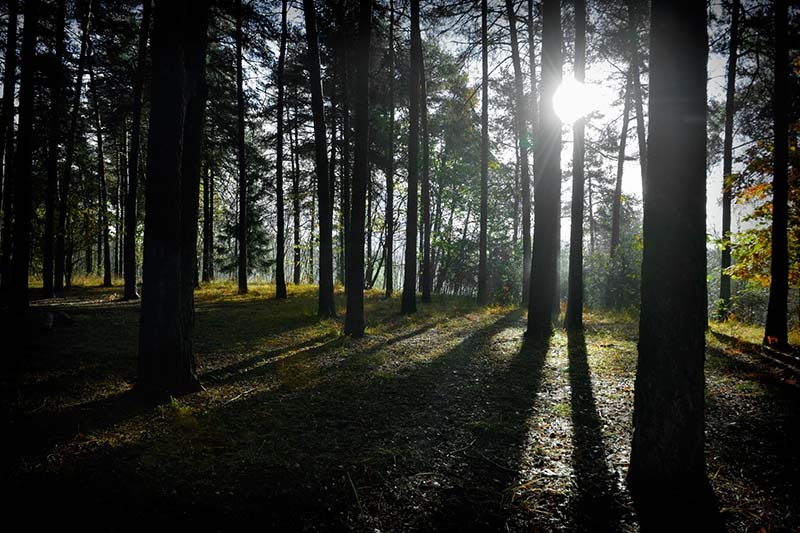 Natural Reserve of Bosco Solivo in Borgo Ticino has a great landscape and naturalistic value of great tourist interest which needs to enhance its complex system of historical-cultural, artistic, and environmental features. The nature reserve is almost entirely interested by Würmian morainic deposits forming the Verbano amphitheater and a gentle and hilly landscape. 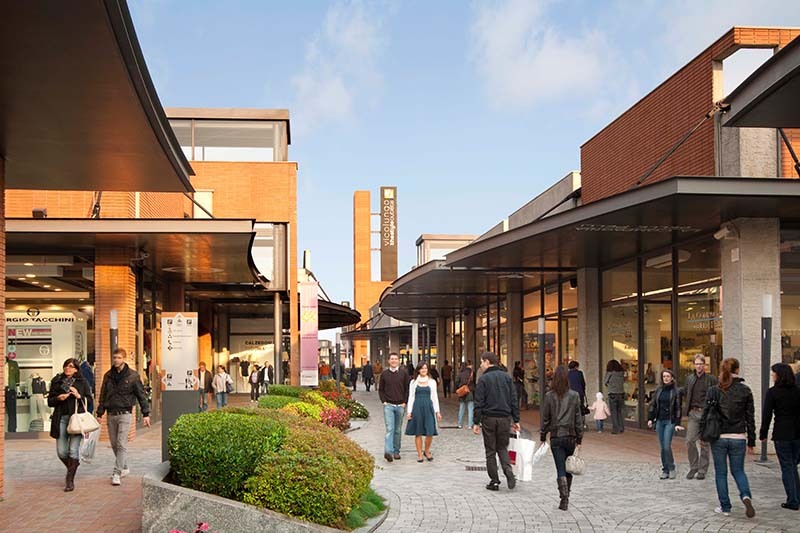 The area of Bosco Solivo houses a forest vegetation mainly dominated by a moorland Scots pinewood, oak and hornbeam wood of the upper plain, coppice chestnut tree wood characterized by Teucrium scorodonia, common alder wood, black locust wood, and white pine reforestation. Bosco Solivo is wonderful for walkings , running , biking and wandering with children and dogs. The waterfall is the highest in Europe. This impressive natural spectacle falls for 143 metres and spreads out at the bottom to a breadth of 60 metres. The Toce Falls, considered as the most spectacular in the Alps, is in the Formazza Valley at the place called La Frua (1861 m. a.s.l.). It is fed by the river Toce formed in the plain of Riale from the confluence of the torrents Hosand, Gries, Rhoni. 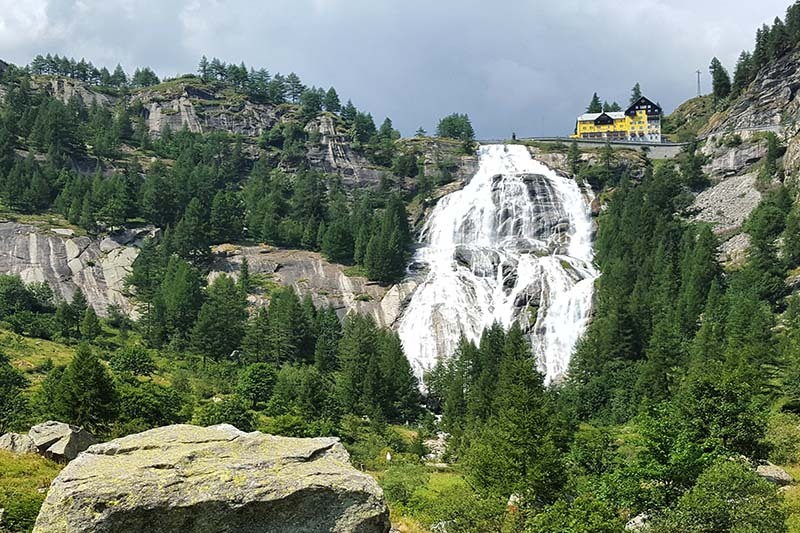 The history of the Toce waterfall and its famous hotel is linked to the history of the romantic and pioneering mountaineering exploration started by de Saussure in 1777 . A number of trails start from the Toce Falls for the Alpine lakes of the Formazza Valley. For fans great choice of race tracks. 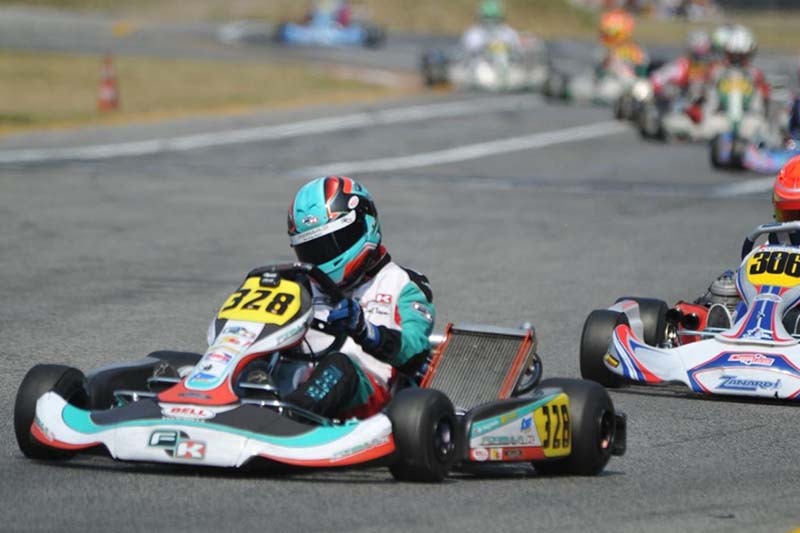 In Borgo Ticino the Pista Azzurra, for Go-karts and Motos, is a circuit dedicated to outdoor competitions. For entusiasts there is the possibility to rent karts and mini-karts. Indoor karting is in Varallo Pombia . VPKarting is a two-storey indoor track with the possibility of personalized competitions. The circuit, 580 meters long, is spread over an area of 4000 square meters divided into 2 indoor levels, within it is allowed to compete in a maximum of 8 riders. 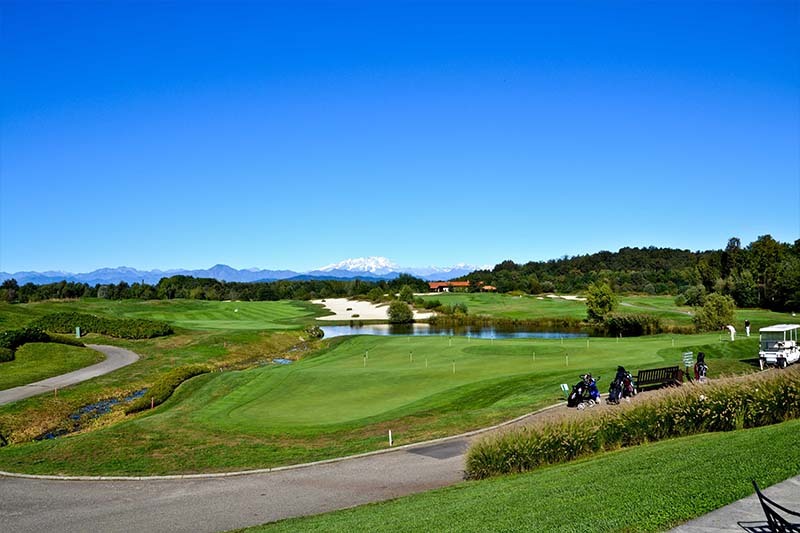 Located in the countryside between the lakes of Orta and Maggiore Bogogno Golf has a view of Monte Rosa and is characterized by a particularly happy microclimate. The camp was born on the project of the American architect Robert von Hagge, who created two avant-garde paths of 18 holes each. Both are characterized by a sinuously bustling terrain that engages and satisfies the golfer of any level. 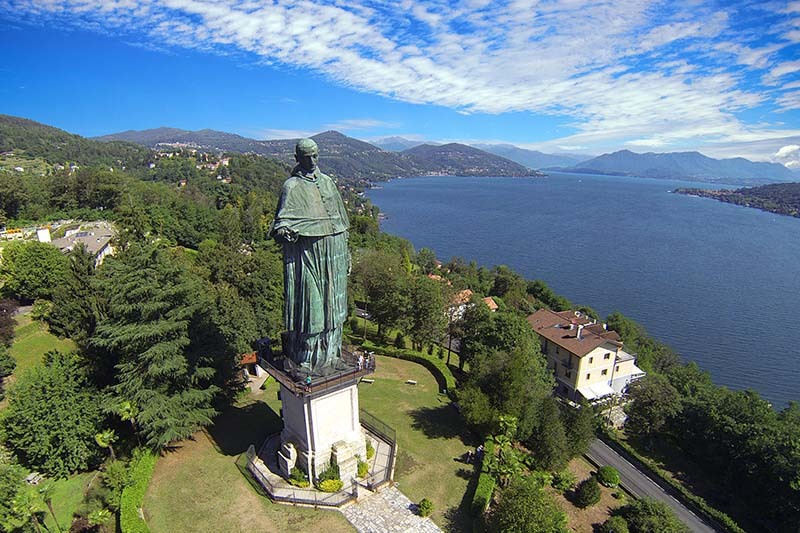 The statue of Saint Charles was built in Arona, his birth town, after his canonization and to honour his importance as archbishop of Milan. For about two centuries it was the tallest statue in the world. In Arona many other monuments refer to this saint’s life: the ruins of the Rocca (fortress)where he was born; the church Collegiata di Santa Maria Nascente where he was baptized; the Church of the Saint Martyrs where he celebrated his last mass before dieing of a high temperature on 3rd November, 1584.